-- The poor CFL just can't win. It is free agent day across the league on Tuesday. 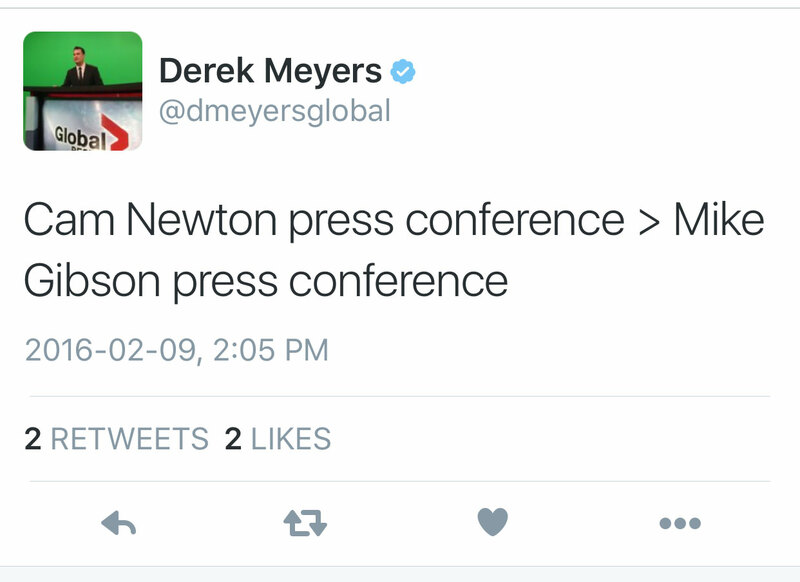 A day where CFL fans can see what is happening with their team as far as additions and subtractions go. A day where they should have centre stage, but just as the window opens on free agency, the door shuts on any momentum or traction the CFL could have gotten. The Leafs trade Dion Phaneuf to Ottawa to steal the headlines and even the Western Hockey League gets into the act by announcing a five year extension for commissioner Ron Robison. -- Why wouldn't the official network of the CFL dedicate at least two hours of programming to a property that they hold exclusivity over on the first day of free agency.? A CFL free agent frenzy would have drawn a lot of viewers. It just seems to me at times TSN is holding the CFL back in so many ways as they could do so much more. -- While day 1 of free agency may have been somewhat overshadowed by the Phaneuf trade, day 2 wasn't overshadowed by anything in Rider Nation. 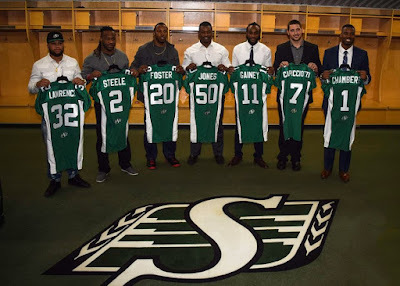 It is safe to say that while Chris Jones and his braintrust didn't get every guy they wanted, they have vastly improved the look of what was a putrid looking squad in 2015 in many areas. Justin Capicotti should make up for the loss of John Chick, Greg Jones is going to look great besides Jeff Knox Junior, and Ed Gainey and Otha Foster will make the secondary better although Foster could be that linebacker/defensive back that so many teams employ now. I think when all is said and done, the acquistion of Jones may be the biggest one of the off-season---at least to this date. Is it June yet? -- If the Riders won free agency as some are suggesting, is it safe to say the big losers in free agency were the Eskimos? 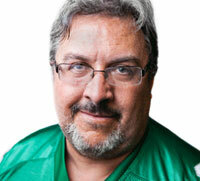 -- Don't be surprised to see Ray Early get released by the Riders. Chris Jones has shown since taking over that he's pretty good at punting!! -- Are there are any more Campbells out there that the Riders can trade for? Hugh, Rick, Jamie?? -- Quote of the week from Indianapolis Colts offensive lineman Ben Heenan. Speaking at the Kinsmen Dinner in Moose Jaw, Heenan was asked by Sportsnet's Jamie Campbell how he could abandon his home province. Big Ben's answer---"I just didn't want Chris Jones to cut me". LOVE IT!! -- How about Jeremy Roenick in Moose Jaw last weekend! The former Flyer and Hawk, who now works for NBC, wowed those in attendance at that same Moose Jaw Kinsmen dinner. He just decided at the last minute to offer up something for the live auction. That something being hotel, airfare and two tickets to any Stanley Cup game played this year in the city of the winner's choosing. He even went further than that saying lunch, an autographed jersey and a chance to meet your favourite player will be thrown in there too. The price of this "gift" from Roenick was 11,500. This was the first time Roenick had been to our little neck of the woods and he said he loved it in Regina and Moose Jaw. Let's get him back here Saskatchewan!! Nice job J-R!! -- If I had seen this picture before Monday's "Something to Mitch About", I would have put it up then. 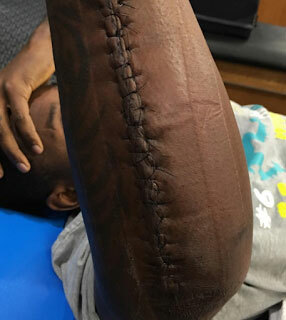 Carolina linebacker Thomas Davis broke his arm in the NFC Championship game and wasn't going to let that stand in the way of him playing two weeks later in the Super Bowl. This was his arm after the surgeons were done with him....that is not a football!!! Nasty doesn't even come close to describing this. Talk about having a love for the game! Perhaps Davis needs to have a little sit-down with his quarterback. --Tweet of the week comes from Derek "Duke" Meyers of Global Regina. -- Anyone who knows anything about professional wrestling and watched RAW this past Monday saw that there is a factor of realism when they saw Daniel Bryan say goodbye to something he spent his life doing. His retirement speech was powerful. -- As MLB gets ready to start its 2016 season in a couple of months, numbers as to what ballpark is the easiest to hit one out of and what one is the toughest over the last five years have been released. It is no surprise to see Coors Field in Denver is the easiest place to hit a homerun because of the rarified air, but I was surprised to see San Francisco's AT&T Park is the toughest. It makes what Barry Bonds did a few years ago that much more interesting. By the way, Rogers Centre is 4th. -- Are Regina and Saskatoon too small for Uber? Could it work in the two cities? -- Yes, it was the Leafs, but damn do Jordan Eberle and Connor McDavid look good together. If those two stay healthy and stay together, could Ebs get 50 next year? -- How many people at the start of the WHL season would have said in mid-February, the Lethbridge Hurricanes will be the best team in the Eastern Conference and just one point away from having the most points in the league? I'm guessing not many! -- I would think the Regina Pats have sewed up a playoff spot, but can they catch Moose Jaw for 3rd place in the Eastern Division? They are only five back going into a big weekend against Prince Albert and Brandon. -- That's all I got. Have a great long weekend! No one may have been talking about Lethbridge being good but many on here were giving the Pats first place. The same ones thinking that if they squeeze into a playoff spot they will get on a run. Run for a tee more like it. "Why wouldn't the official network of the CFL dedicate at least two hours of programming to a property that they hold exclusivity over on the first day of free agency.?" Saskatoon is ready for Uber, Regina might be a little small yet though. Jordan, you obviously don't see the joke there. Its a weak one, but it is a joke nonetheless. Love what has been done this week. Jones and Murphy aren't screwing around. The objective is clear. What does Eberle have now? He still has 30 or so games to play and could end up with 30 or more this year alone! He looks like a different player since being paired with McD. That smile on his face after getting the hatty last night was great to see. I don't think I will ever understand why Jones wanted out of Edmonton after having the success he had and the success he could have had there. I have to believe he had a problem with Hervey and the organization sided with Ed. If the Eskimo executive had seen this coming in November instead of being euphoric over winning the GC, I don't think Jones would be here. I hope Reynolds is wise enough to make sure these guys are around for a while. Good times are returnin to Riderville. There's no mystery, he was offered a promotion and double the salary to come here. If anyone in any organization were offered the same, you have to assume they'd take it. If Jones gets a promotion and leaves in two years, I'll take that, because it means that he turned this team around. I have to think that Craig Reynolds is prepared for that, since he has O'Day and Murphy close to Jonesy to learn from him. Until then, enjoy your stay in Jonestown. I think Jones took the promotion that Saskatchewan offered him, more money, more power to do with his team what he will. With Ed Hervey still employed with Edmonton he was stuck at the head coach position. As for TSN televising the Free Agency I would have watched. I was excited for this free agency and was happy every time I checked my phone and seen that Rider App logo announcing another signing. Our team is vastly improved, has gotten younger and we still have some open camps as well as the Canadian draft! Looking forward to the season this year! Right. I'm sure you NFL snobs were disgusted to see #CFLPA trending all day on Twitter. That's not supposed to happen in your lousy opinion. You must work for Tim and Sid. Big weekend for the Pats, good luck. Go Pats Go! Cmon Jordan...don't be surprised at seeing Ray Early get punted because Chris Jones is doing that already. I think listening to SCage the other day there were many "surprised" to see Early released. Why wouldn't TSN give us an afternoon of CFL football in February. Promote the brand! I think Canada do with one less re-run of That's Hockey! I was at the event in MJaw. Sure TSN talked about Phaneuf being traded and a 5 year extension for Robinson but people were not listening to that! They were listening to CFL news. Everyone knew Phaneuf would be traded because he is an overpaid under achieving player. Also the comment about Early said he would be "released" not "punted" which says Scruffy was behind in his knowledge and not a joke! That arm is just gross! YUCK! Thanks for the input Jordan! all of you people are forgetting that Jones was not liked by most of the fans in Edmonton - they really did not care that he left. Jones did not get along with the EE/GM, their fights were well known. in Fact before Jones came to Edmonton he also had a rep of not getting along with people, being apprasive and was not liked by management where ever he was. These points are a fact no matter how much you rider people twist thing around but then you also thought that CC walked on water until it caught up with him and all of you jumped off his bandwagon. So unless Jones trys to change his ways prepare for a quick exit one way or another - followed by Murphy, who is another story - short version very incompetent. Isn't punted another word for released or fired? I thought some of u Saskies would know that after last year! Who was giving the Pats first place? I think everyone was giving Brandon the conference, but not the Pats!